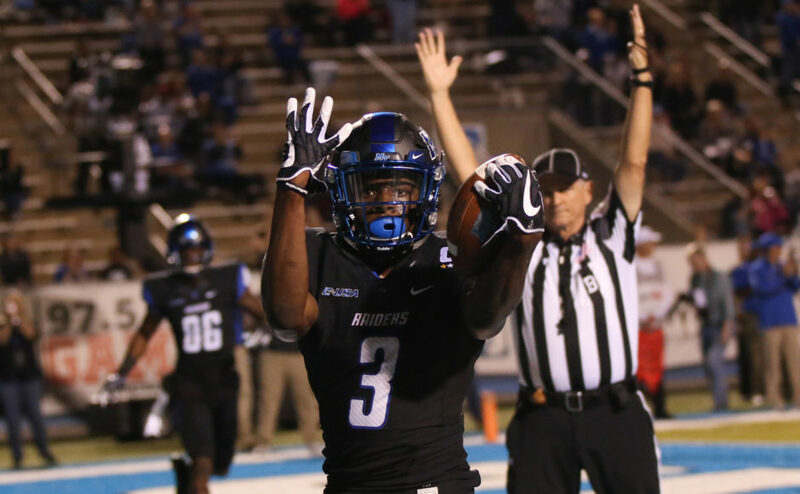 Richie James celebrates his touchdown against Marshall on October 20, 2017 in Murfreesboro, TN (Devin P. Grimes/MTSU Sidelines). 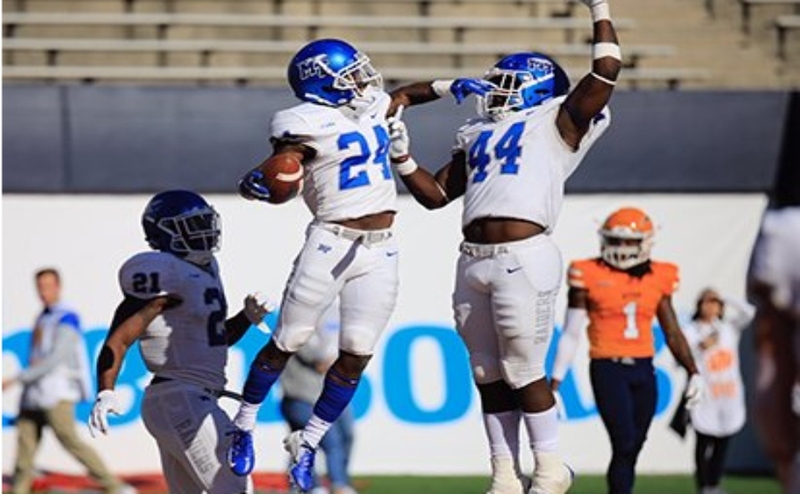 Richie James, a former Middle Tennessee State star wide receiver, was drafted by the San Francisco 49ers in the seventh round with the 240th pick of the NFL Draft on Saturday. 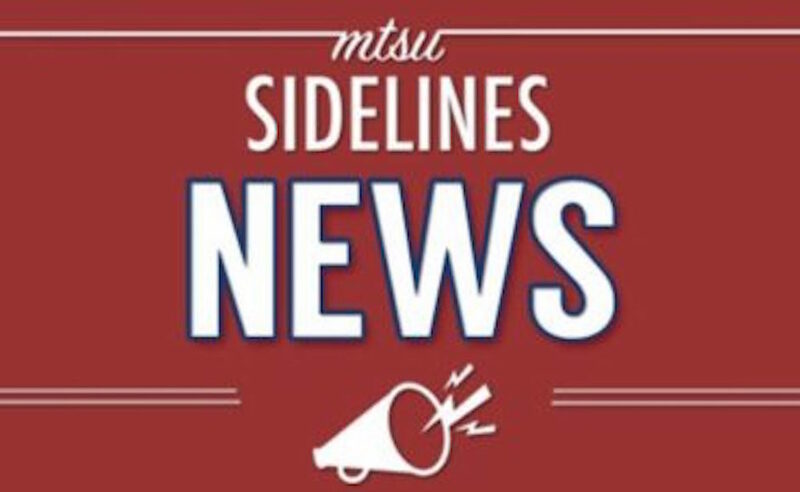 He is the first MTSU receiver to be drafted since 2003 when Tyrone Calico was selected in the second round by the Tennessee Titans. 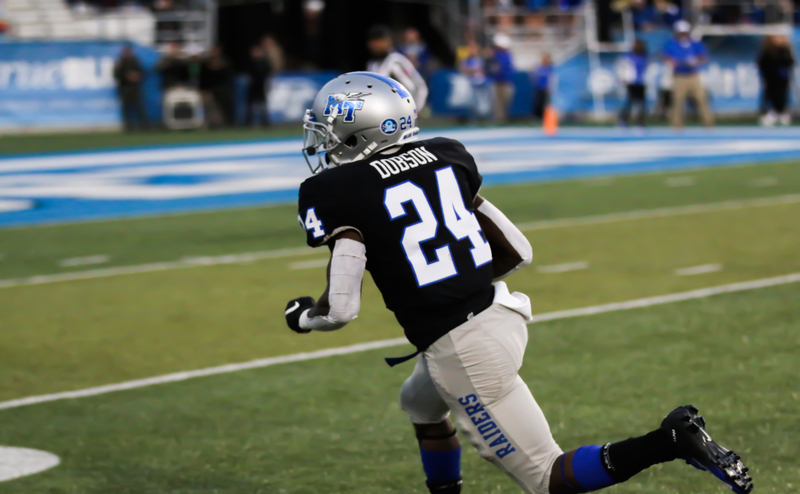 James, a red-shirt junior from Sarasota, Florida, had one of the most prolific careers for an MTSU receiver. He leaves with several school records to his name. These records include most career receiving yards (3,261), career touchdown catches (23) and career receptions (244). He also caught at least one pass in all 31 career games he played in. These stats are even more impressive considering that James only played two complete seasons and only appeared in five games in his last season with the Blue Raiders. 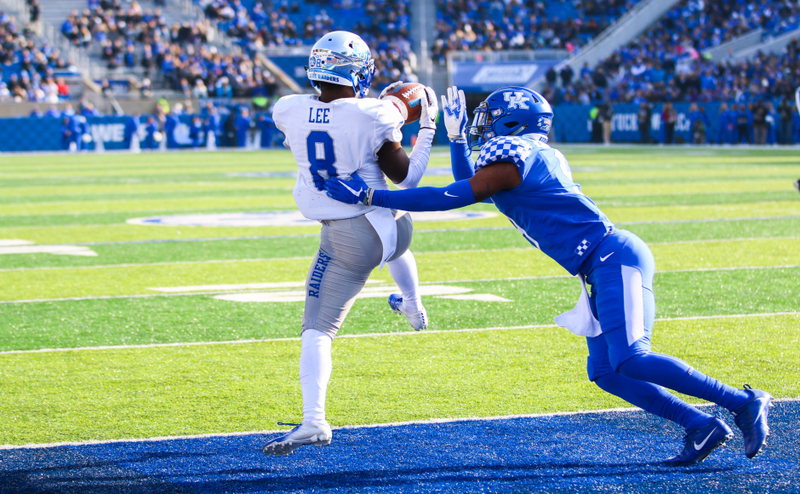 He saw some time as a punt returner for special teams and has a career average of 6.9 yards per return. 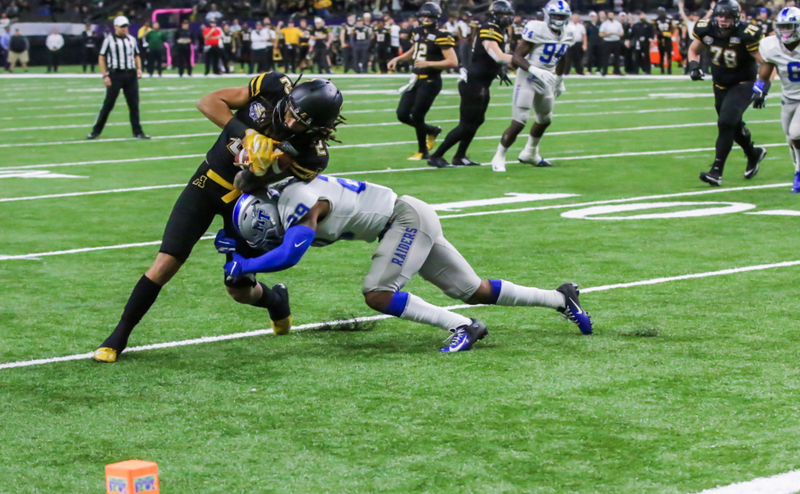 James won several accolades in his time at MTSU, including Freshman All-American, two First-Team All C-USA, Third-Team All American his sophomore year and Preseason Second-Team All-American his junior season. He joins a 49ers team that is in rebuilding mode after a 6-10 season, but they did finish 5-0 in the final games of the season after naming Jimmy Garoppolo as the starting quarterback. Though his size may be a hindrance, James has the potential to be a dynamic slot receiver and return specialist.